Townsend ShamsTownsend Shams, Smoke alt="Townsend Shams, Smoke"
Print Bring a little luxury to the bed. These shams are rich in texture, yet wonderfully breathable thanks to the linen backing. A cotton flannel fill (in lieu of traditional batting) keeps things feeling light. The oversized quilting squares are bold yet understated and, for an additional design element, we adorned the end of each quilting channel with linen-covered pom-poms. A coordinating quilt completes the look, but try pairing these with your own favorite layers to add a new material into the mix. 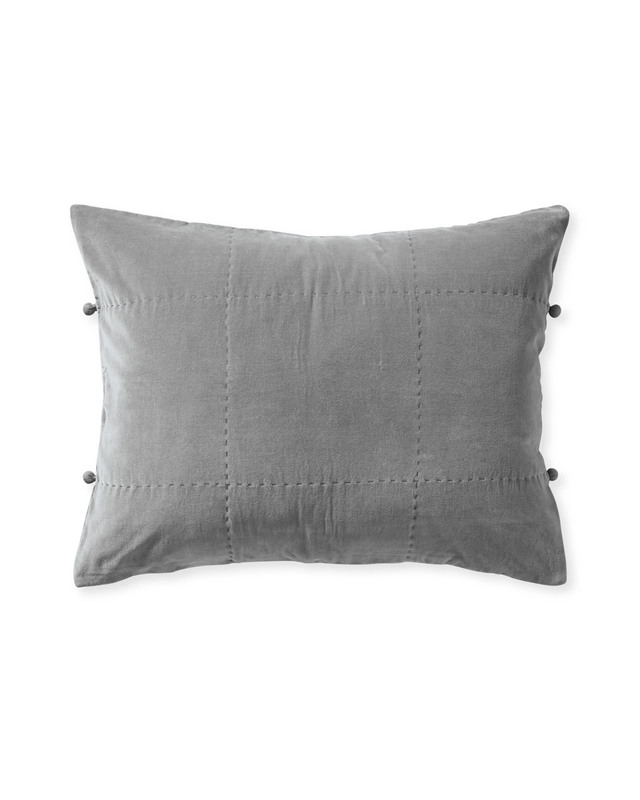 100% cotton velvet with cotton flannel fill and 100% linen backing. Linen-covered pom-poms adorn the end of each quilting channel.